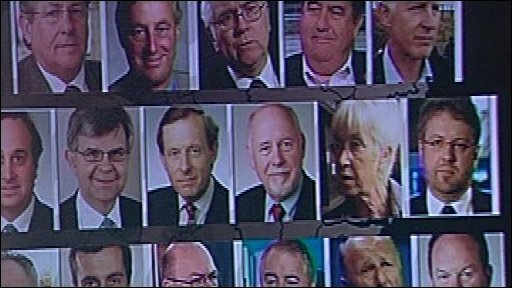 BBC Look East has discovered that more than half the MPs in the east have been drawn into the expenses scandal. Thirty one MPs are facing demands to re-pay a total of £332,500. It follows the Sir Thomas Legg Review into their expenses claims. With a General Election imminent, it is an issue many of our MPs wish would just go away. Two months ago, Sir Thomas Legg wrote to every Member of Parliament with his findings. Those letters were private, so some of the contents are not yet known. However, his conclusions are due to be made public in the new year. But over the past few weeks, many demands have been paid up, others have re-negotiated their bills and several have been able to clear their names. 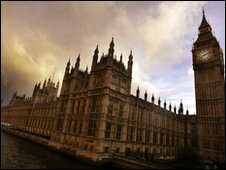 Look East has found that 30 local MPs have been asked to re-pay a total of £239,000. Some of the biggest repayments had already been revealed. They include, Corby and East Northamptonshire MP Phil Hope's £42,000 for renovations, nearly £33,000 by east of England minister Barbara Follett, £25,000 by Huntingdon MP Jonathan Djanogly and £22,500 for Luton MP Margaret Moran's dry rot. Several MPs are still disputing their demands for re-payment. The biggest, £63,250, by North Essex MP Bernard Jenkin relates to renting property from a relative. Bedford MP Patrick Hall disputes he owes £260 for mortgage interest payments and is the first to reveal he is going to appeal. This will be considered by the former High Court judge Sir Paul Kennedy. Mr Hall said: "The sum concerned is small, but it is a matter of principle." Northampton South MP Brian Binley has been referred to the Parliamentary Standards Commissioner over a claim for £57,000 relating to rent. Mark Prisk, Conservative MP for Hertford and Stortford, disputed a £7,000 demand for his mortgage interest claims. After discussions with the Legg inquiry, he has agreed to pay £2,970. Fellow Conservative Andrew Selous, MP for South West Bedfordshire, was originally asked to repay £1,300 by Legg, but has now been cleared. Sir Thomas had asked former Home Secretary Charles Clarke for clarification, but when contacted by Look East, Mr Clarke, the MP for Norwich South, said: "I haven't said anything and I don't intend to do so now."